Welcome back! I'll admit it: This newsletter won't be as good as the men's Boston Marathon finish. Microsoft is almost doubling its internal carbon tax that helps fund the company's sustainability work and is joining a Big Oil-backed group pushing for a federal emissions fee. Driving the news: Those are 2 of several announcements Tuesday that arrive amid scrutiny of Big Tech's carbon footprint and work with oil companies. Expand offerings that help customers use AI to boost environmental performance. Host gigantic environmental datasets on its cloud platform Azure to aid researchers. 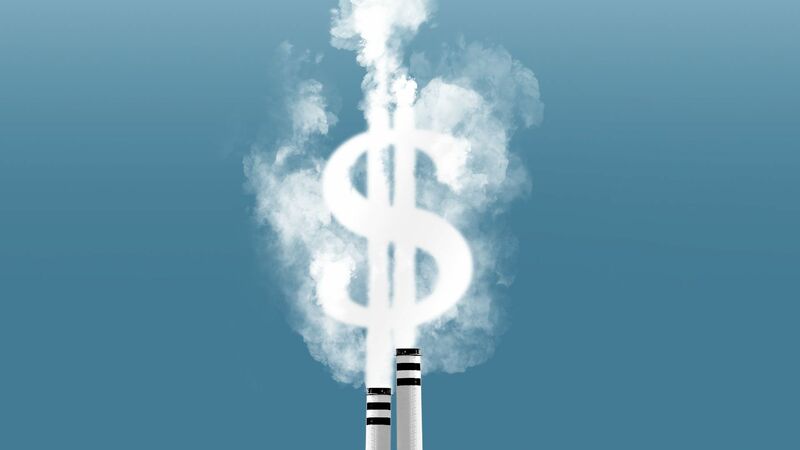 Raise its internal carbon fee, launched in 2012, from $8 to $15 per metric ton. For a sense of scale, Microsoft said that last year it collected $20 million from the tax to pay for internal carbon neutrality work and fund grantees of its AI for Earth program. Meanwhile, Microsoft is one of the first Big Tech companies to join the Climate Leadership Council. It includes ExxonMobil BP, Shell and Total, plus other corporate giants outside the oil sector. It's pushing a plan crafted by GOP elders including Hank Paulson and James Baker that sets an escalating tax beginning at $40-per-ton. The proposal, going nowhere in Congress right now, would return revenues to the public, cut climate regulations, and shield companies from some lawsuits. What they're saying: Lucas Joppa, Microsoft's chief environmental officer, said there's huge potential in using AI and other advanced tech to help industries cut emissions. “There has been this disturbing trend that technological revolutions have essentially paid for the present by borrowing from the future,” he said, noting the rise of the fossil fuel economy. “There needs to be a recognition that this industrial revolution, this kind of AI-enabled revolution, has got to be the first one that breaks that cycle,” he told Axios. By the numbers: The company released new Pricewaterhouse Coopers UK research it commissioned on AI applications in energy, water, farming and transportation. It finds that AI could add up to $5.2 trillion to the global economy in 2030 and cut global greenhouse gas emissions by 4% by then. But, but, but: Tech giants are under scrutiny for their huge energy use and business projects with fossil fuel clients. That includes Microsoft, which is working with Exxon on cloud technology and data aimed at helping boost Permian Basin production. “The low carbon future that we need to see the world transition to is going to be a transition. There will be a place for fossil fuels for the foreseeable future. We would like to see that need reduced,” Joppa said. The most aggressive part of Sen. Elizabeth Warren's new energy and public lands plan is both old news and worth writing about. What's happening: On Monday, the 2020 White House hopeful said that if elected, she would end the sale of new oil-and-gas leases offshore and on federal lands. Why it matters: These regions are an important part of U.S. production, although their share has fallen since the advent of the shale boom that's largely on state and private lands. The intrigue: Warren signed onto proposed legislation (that went nowhere in 2015) that would bar new leasing. But her decision to revive the plan, which drew cheers from green activists, shows how high-profile GOP attacks on the Green New Deal are not prompting Warren to back off aggressive steps. What's next: I'll be curious to see if other candidates make the same pledge beyond Sen. Bernie Sanders, who led the 2015 bill with Sens. Jeff Merkley and Patrick Leahy and has long been against fossil fuel development. Sen. Kirsten Gillibrand, who's also a 2020 presidential candidate, also signed onto that bill in 2015. A goal of getting 10% of U.S. power from renewables located on public lands and waters. Reversing Trump's move to pare back 2 national monuments in Utah. Making National Parks free and recruiting 10,000 youth and vets for a 21st Century Civilian Conservation Corps. The Supreme Court yesterday declined to take up challenges to appellate rulings that upheld state subsidies in Illinois and New York aimed at keeping nuclear plants from shutting down. Why it matters: A number of climate advocates fear that allowing substantial amounts of nuclear generation — which is facing stiff market pressures — to go offline will be a major setback. The decision not to hear the cases is also important because some other states have crafted or are weighing plans to preserve their nuclear generation. "Since New York and Illinois approved their nuclear supports in 2016 and 2017, respectively, Connecticut and New Jersey have enacted programs to preserve the generators threatened with early retirement because of competition from natural gas and renewables." Lawmakers in Pennsylvania and Ohio are weighing nuclear subsidies as well, they note. What they're saying: The rejection of the petition to review the appellate rulings affirms that "states have broad legal authority to enact programs that pay clean energy generators for their production of zero-emission energy," Harvard electricity law expert Ari Peskoe said in comments circulated to reporters. 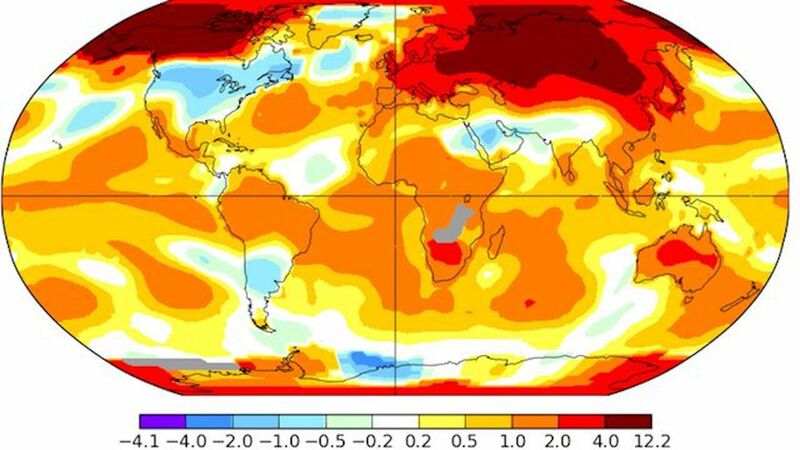 Axios' Andrew Freedman reports ... March may have been unusually cold in parts of the U.S., but average temperatures globally ticked upward to rank as one of the top 3 warmest Marches on record, new data from climate groups in Europe, Japan and the U.S. show. Why it matters: The new data indicate that global average temperatures during 2019 are on track to make it another top 5 warmest year, should these trends continue. An El Niño event, featuring unusually warm water in the tropical Pacific Ocean along with an increase in shower and thunderstorm activity near the equator, is helping to add additional heat to the atmosphere. The big picture: According to preliminary NASA data, the globe just had its 3rd-warmest March on record, with a global average surface temperature anomaly of 1.11°C, or 1.99°F, above the 20th century average (1951–1980). Agencies: "The Interior Department’s internal watchdog opened an investigation into ethics complaints against former oil and gas lobbyist David Bernhardt on Monday, four days after the Senate confirmed him as the agency’s secretary," the Washington Post reports. Crude oil: The New York Times explores why the Trump administration has reached a "critical juncture" in its oil sanction against Venezuela and Iran. Officials are grappling with how to get China and India to slash or end purchases, but without roiling markets, straining relations with those countries or raising U.S. pump prices, the NYT reports. "The dilemma has led to a fierce debate within the Trump administration, which is set to decide by May 2 whether to extend waivers allowing China, India and three other nations to buy Iranian oil," report Edward Wong and Clifford Krauss. "A halt of oil shipments would constrict global oil supplies and increase costs at a time when much of the world economy is slowing," they add.